Editor's note: With this issue, News and Reviews resumes quarterly publication. Directed by Xiaodan He. 2009. 46 minutes. The Fall of Womenland is a fascinating documentary that takes the rather large field of films about the Moso people of China in a somewhat different direction than one might expect. Created by He Xiaodan, a filmmaker of Naxi ethnicity in Yunnan Province, The Fall of Womenland was partially funded by the National Geographic's All Roads Film Project. 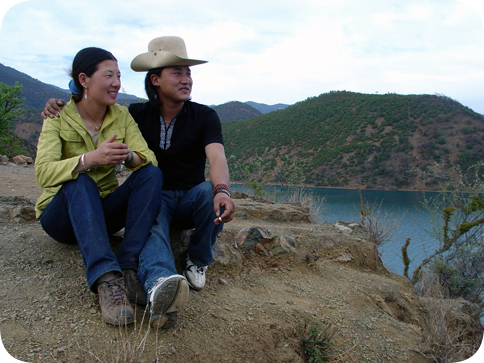 The film uses first-person narration to give the viewer an intimate look at southwest China's Moso villages (the Moso are related to the Naxi but somewhat different culturally)-perhaps too intimate at times, as I discuss below. On a technical level, the careful crafting of storyline, sound, and visuals is clear, with the excellent cinematography by Martin Doepner making the documentary aesthetically pleasing. Directed by Jean-Marc Abela and Mark McGuire. 2009. 90 minutes. 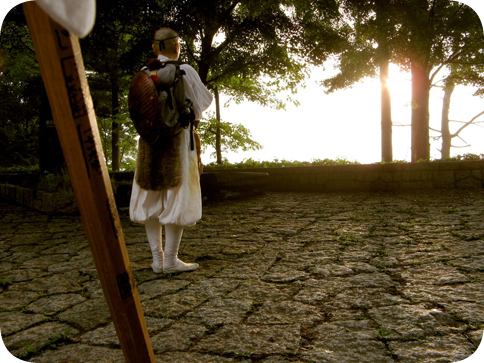 Shugendō Now is a documentary that walks the line between illustrating transcendent spiritual practice and the everyday "world of desires and illusions." It is clear from the very beginning that nature holds a prominent role in the film. The film follows a pilgrimage of lay practitioners mostly from the urban environments of Tokyo and Osaka. Guided by Tanaka Riten from Kimpusen-ji temple, the pilgrims, in a practice called the Lotus Ascent, ascend Mt. Ōmine, one of Japan's sacred mountains. Commenting on the effort to invite more people to practice shugyō (ascetic practice), the the Shugendo priest observes "that with the increase in participation by everyday people, we've seen a decline in participation by more seasoned ascetic practitioners." As the film follows the pilgrimage we are given glimpse into the private lives of both lay people and mountain ascetics. At this year's joint AAS/ICAS annual meeting (March30-April3), AEMS was asked to organize the three-days of video screenings that are normally a part of the conference. AAS kindly provided us with a proper theater at the Hawaii Convention Center, where the meetings were held, and an excellent tech support team, and the Henry Luce Foundation graciously supported the effort for the first time. 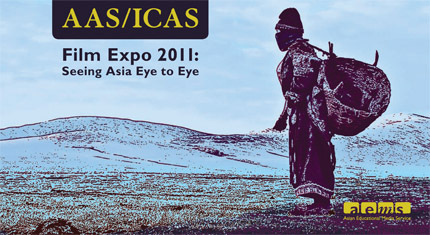 Our mandate was to curate the exhibition, which we entitled "Film Expo 2011: Seeing Asia Eye to Eye." AEMS call for submissions yielded 95 films, from which we selected 29 for showing. In addition, AEMS sponsored a roundtable discussion with eight of the scholar-filmmakers whose works were presented.